Beautiful 3 bedroom brick home. 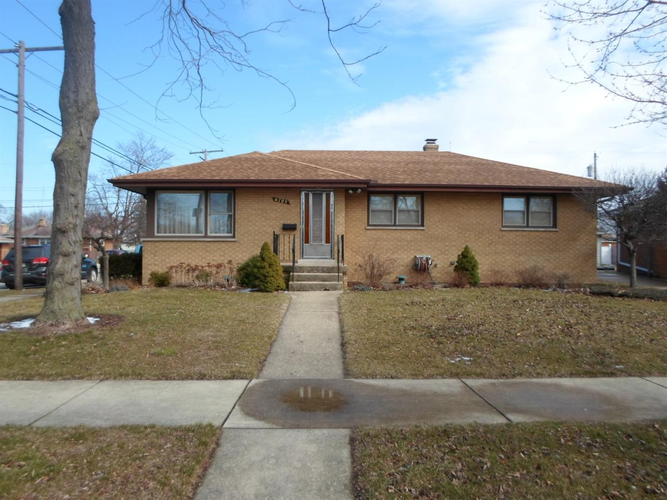 Home has refinished hardwood floors in living room, dining room,and all 3 bedrooms.The bathroom has been recently updated with new tile work and an auxiliary heating system. The plumbing has been updated and the home has an entry monitoring system. The basement is finished with a bar and extra rooms for whatever you decide. There is a large deck built around the above ground pool. The roof is under two years old and the home has been meticulously maintained. It is on a corner lot with lots of mature beautiful landscaping.This is a quiet neighborhood that has easy access to shopping, schools and I94. Set up your appointment today, you wont be disappointed.